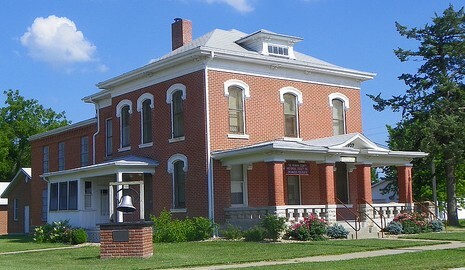 Built in 1879, this building housed the jailer and his family and in the rear wing, patented steel cells for prisoners. 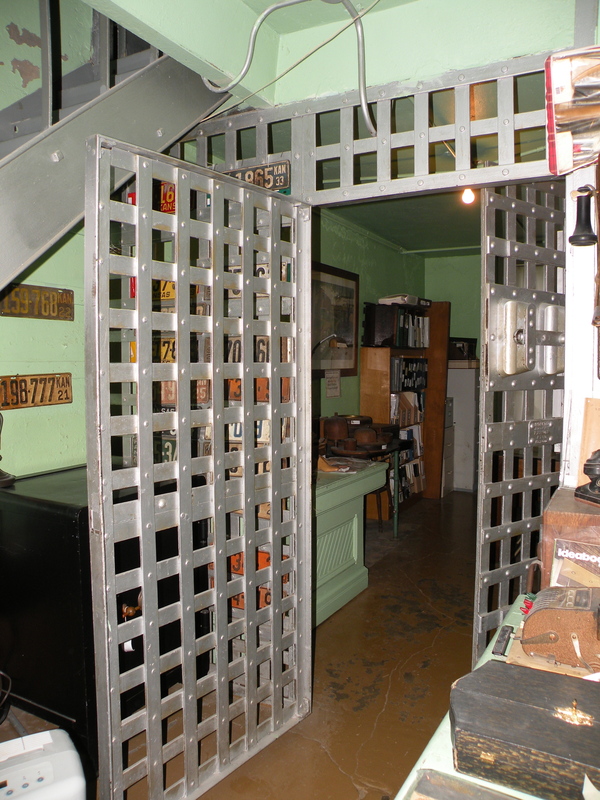 The citizens of Nemaha County were generally hard working and law-abiding; occasional drunkenness, fist fights and family spats were the typical fare for the Sheriff. The jail operated with only a small maintenance budget. 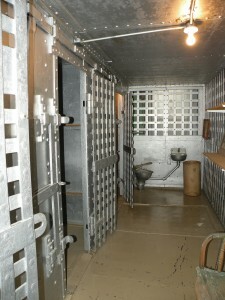 But by 1905, general deterioration had weakened the floor and roof resulting in several escapes. 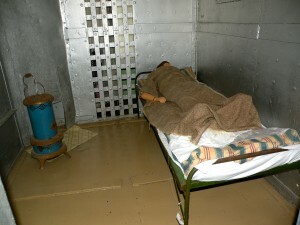 The brick wall in one area was so weakened one prisoner simply pushed out a section and left. After a total renovation in 1907, the structure was once again solid and functional. 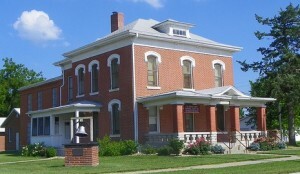 The residence and jail were added to the Kansas and National Registers of Historic Places in 2004. 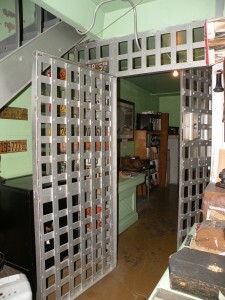 You are welcome to come in and rest a while in an original jail cell. 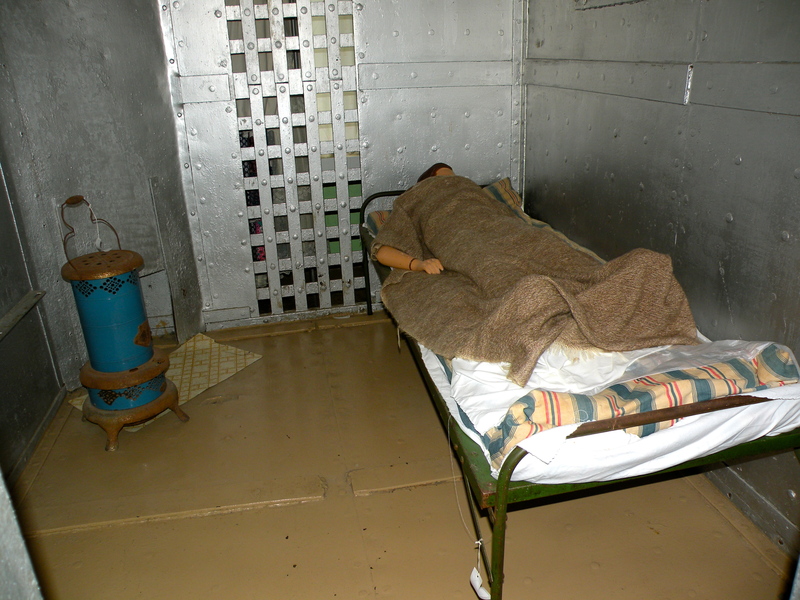 Click on this link to read about one of the prisoners – Mrs. Myrtle Lattimer – that kept her dead mother’s body for 2.5 years before she was found out.